MANHATTAN, New York (WABC) -- A program bill that would ban all single-use, plastic carryout bags at any point of sale in New York State was introduced by Governor Andrew Cuomo Monday. The action follows the release of the New York State Plastic Bags Task Force report in January, which outlined the environmental impact of plastic bags, single-use bag reduction measures, and proposed actions that the state could take to reduce pollution and protect New York's natural resources, including a ban on single-use plastic bags. "The blight of plastic bags takes a devastating toll on our streets, our water and our natural resources, and we need to take action to protect our environment," Cuomo said. "As the old proverb goes: 'We did not inherit the earth, we are merely borrowing it from our children,' and with this action we are helping to leave a stronger, cleaner and greener New York for all." 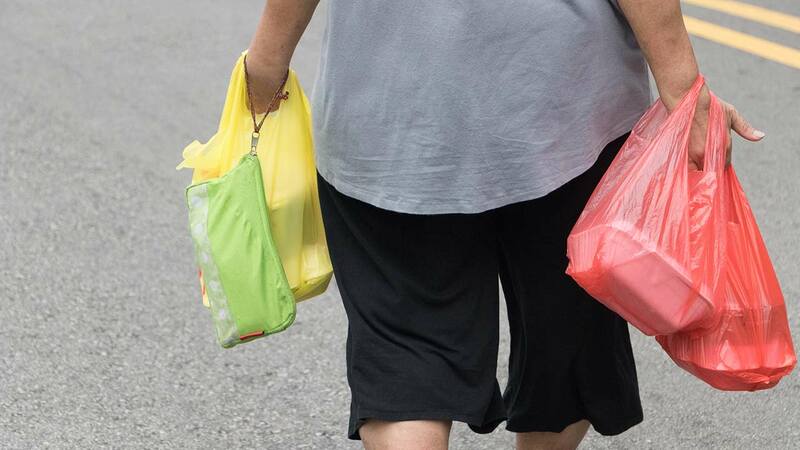 As communities and states across the country continue to struggle with the ecological and financial costs associated with the use of plastic bags, New York is taking action to implement legislation that will ban plastic bags statewide. The governor launched the New York State Plastic Bag Task Force in March 2017 to conduct a study and develop a comprehensive solution to the use and disposal of plastic bags and how best to deter their environmental impact. The Task Force is led by State Department of Environmental Conservation Commissioner Basil Seggos, along with co-chairs Senator Thomas O'Mara and Assemblyman Steve Englebright. The Task Force conducted a survey of more than a dozen municipalities in New York state that currently have plastic bag laws. The Task Force also encouraged public comment on the issue and received 558 responses between March and December 2017. Based on recommendations included in the report, Cuomo introduced a bill that would ban the provision of single-use, plastic carryout bags at any point of sale, and would provide the Department of Environmental Conservation with exclusive jurisdiction over all matters related to plastic bags and film plastic recycling. The bill exempts garment bags, trash bags and any bags used to wrap or contain certain foods, such as fruits and sliced meats. The bill would go into effect on January 1, 2019. In addition to the legislation, the state will undertake an education and outreach campaign to increase consumer awareness of single-use bags and their harmful impact on the environment. Education efforts will also seek to educate consumers of the impact plastic bags have on the environment and the waste stream, and promote use of reusable bags.